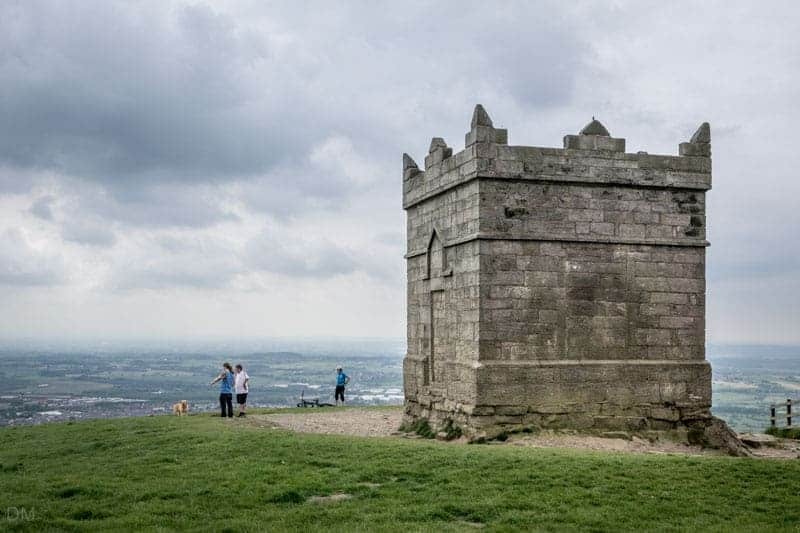 Rivington Pike is one of the best viewpoints in North West England. 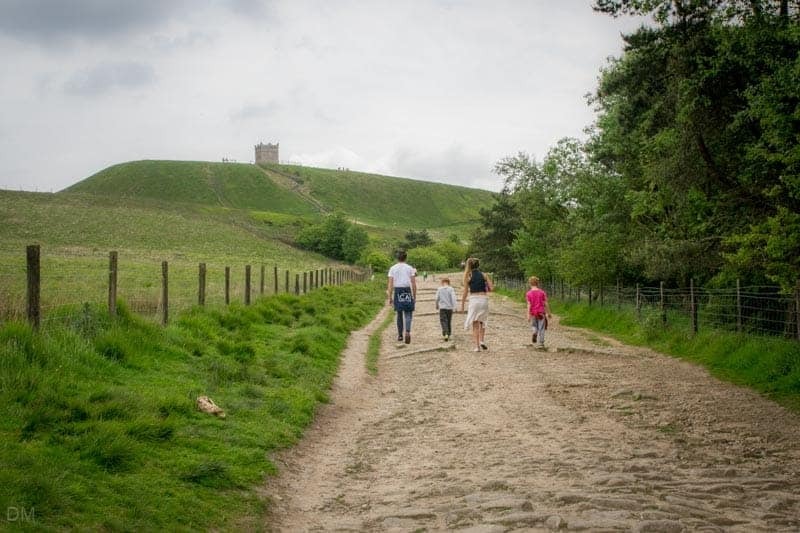 There are numerous ways to reach it, but the route through Rivington Terraced Gardens on the western side is the most popular. 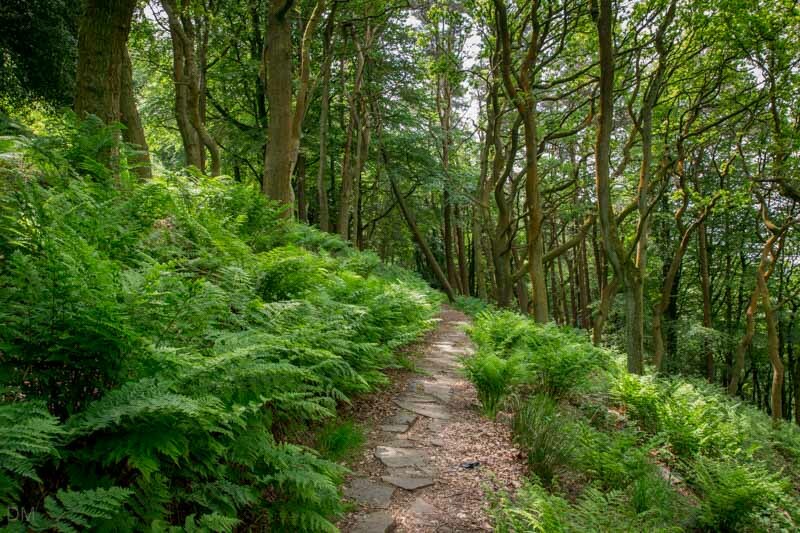 There’s a myriad of paths through Rivington Terraced Gardens that lead to Rivington Pike. 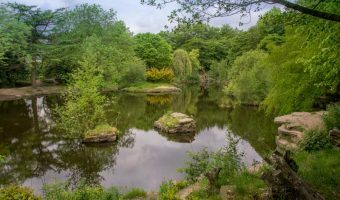 This walk follows a circular route that takes in interesting sights such as the Japanese Garden and Lever Bridge. It’s a fairly busy route, especially on Good Friday when it’s a local tradition to walk to the summit. 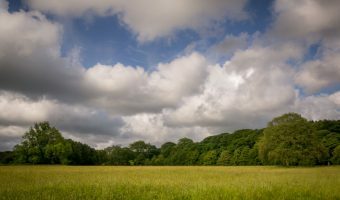 This walk begins at Rivington Hall Barn. This is easy to find. Just drive to Rivington Lane and on reaching the Great House Barn, turn right on the driveway opposite. 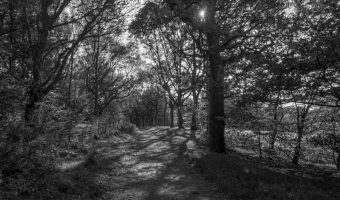 The road leads to Rivington Hall and Rivington Hall Barn. Owners of satellite navigation systems can use the postcode BL6 7SB to find it. 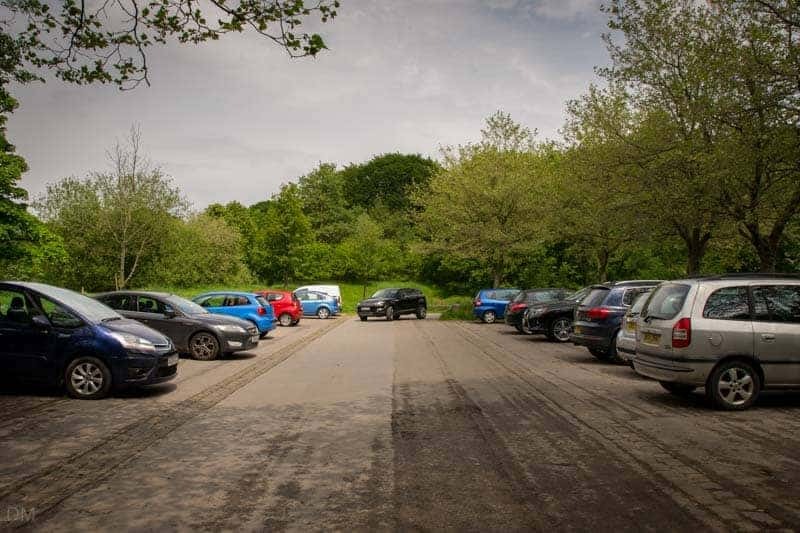 There’s a large car park at Rivington Hall Barn. Parking here is free. 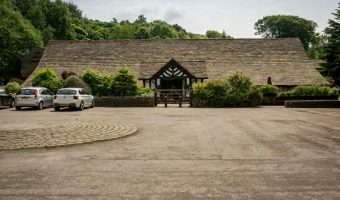 From the car park, make your way towards the barn and take the path to the left. 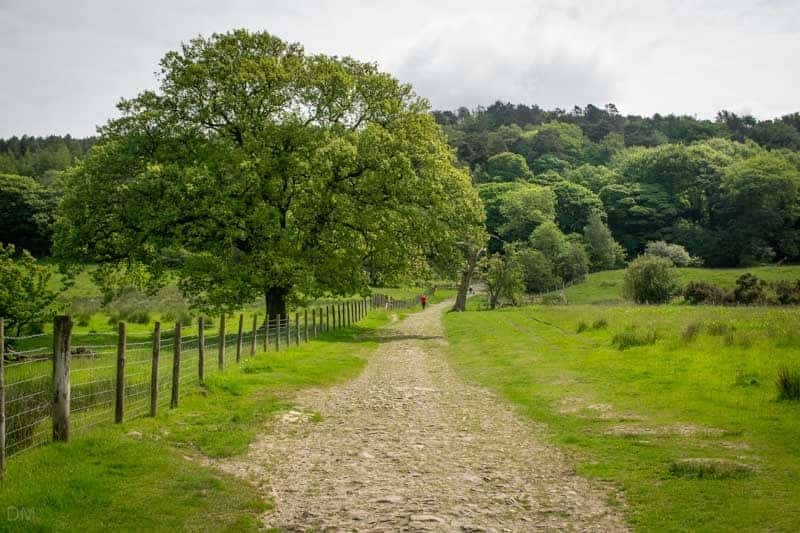 This leads to an open area of grassland known as Breres Meadow. The wooded hillside you can see from here is Rivington Terraced Gardens. A well-maintained path leads east through Breres Meadow. Follow it and after a few hundred yards you’ll be in the gardens. 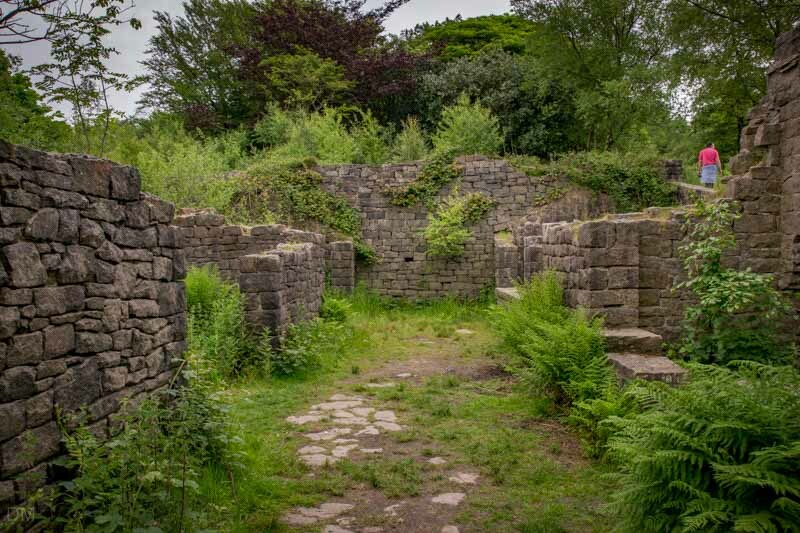 After entering the Rivington Terraced Gardens, head south along the crazy paving footpath. Soon you will see a flight of stairs on your right. These lead to one of several summer houses dotted around the gardens. Take a quick detour and explore if you like. Continuing south you’ll cross a ravine and pass a series of man-made caves. This is more or less the southern tip of the gardens. From here follow the paths up the hillside to reach the Japanese Garden. There’s a bench here if you need a break. Take the path that runs along the southern edge of the Japanese Garden and you’ll come to the area where the kitchen gardens once were. 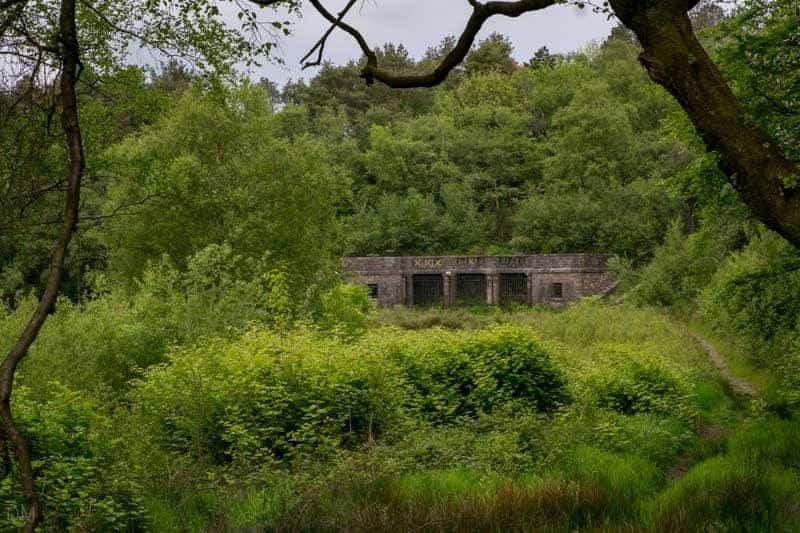 Here you’ll also see the ruins of a stone bothy (a shelter for gardeners and workers). 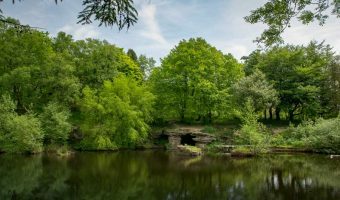 Continue up the steep path leading from the kitchen gardens and you’ll be approaching the eastern edge of the Rivington Terrace Gardens. Look to your left and you’ll see another summer house. This one once overlooked tennis courts (now overgrown). Go through the gate at the top of the path and you’ll find yourself on Belmont Road. Turn left and walk for about 10 yards and you’ll come to the track leading to Rivington Pike. The Pike Tower is now clearly visible. 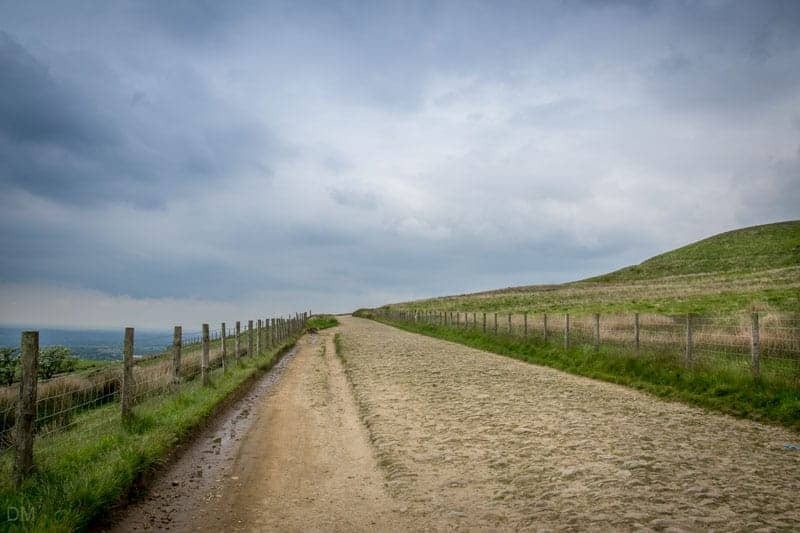 The track to Rivington Pike is fairly steep. There’s a bench at the bottom if you need a rest before the ascent. Once at the top you’ll be rewarded with magnificent views. If the weather is clear you’ll be able to see as far as Cheshire, the Lake District and the Isle of Man. Even if it is cloudy you’ll still get good views of Winter Hill, Lever Park, Horwich, and the Macron Stadium. 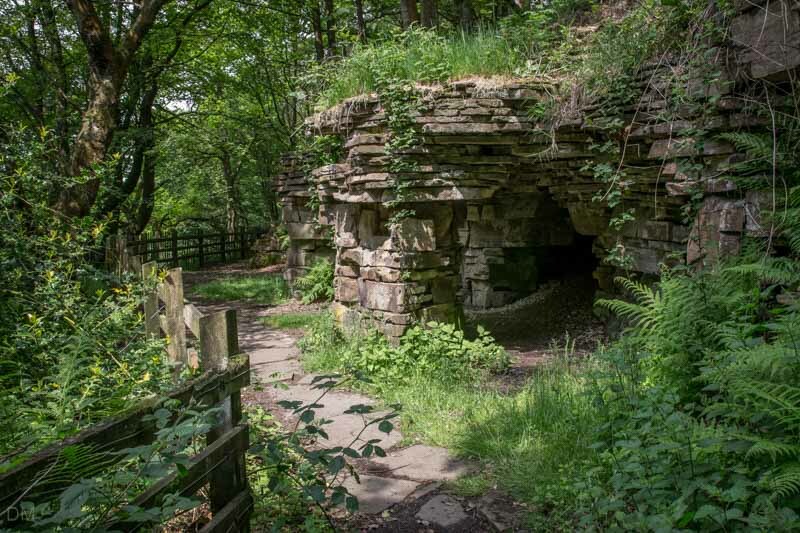 To return to Rivington Barn you could retrace your steps. However, if you want to see more of the gardens and surrounding area you can take the path heading south from the Pike Tower. If you decide to take the path south, you’ll be back on Belmont Road in about five minutes. Turn right and walk a hundred yards and then take the path on your left. 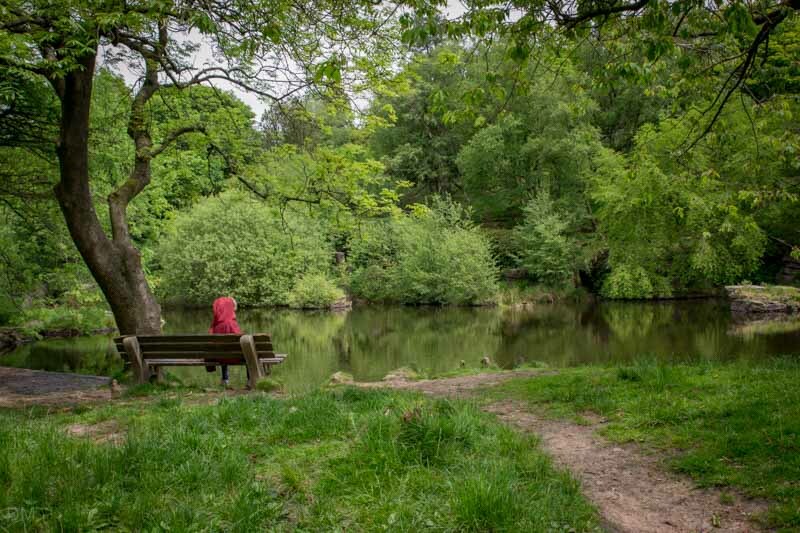 This will take you to Royton Lane, the main thoroughfare through Rivington Terraced Gardens. 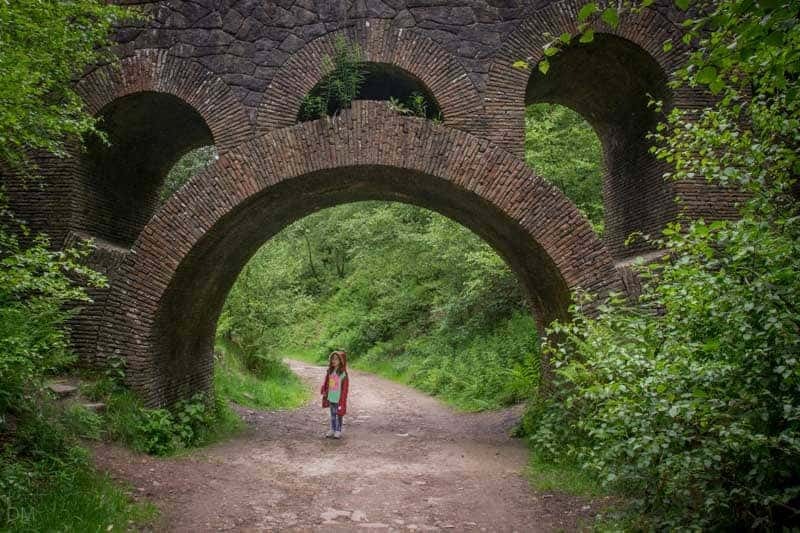 Walk north on Royton Lane, back into the gardens, and you’ll eventually pass under Lever Bridge (also known as Seven Arch Bridge). Continue along the track for around half a mile and you’ll arrive at Lower House Car Park. 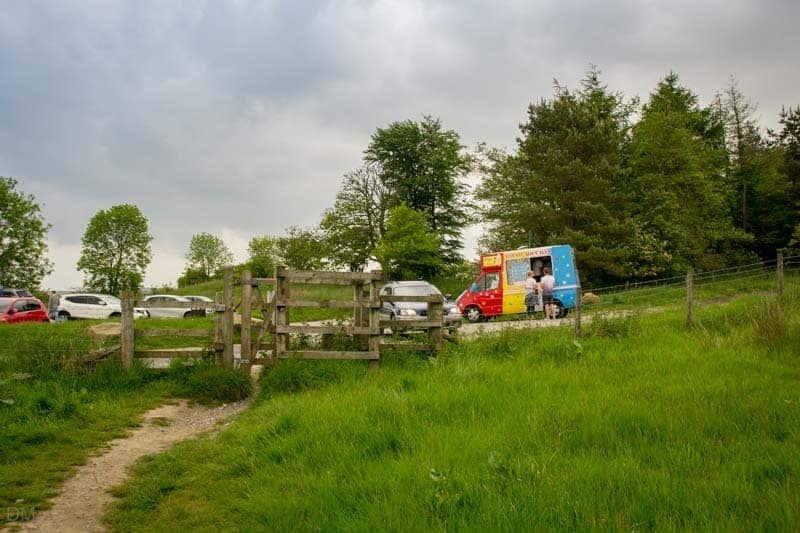 There’s often an ice cream van here. Go through the gate next to the car park and follow the path. This will take you back to Rivington Hall Barn. I have a mobility scooter. Would the paths be suitable ? No. Too many rocky and steep paths. I would really like to try this route on my off road mobility scooter. Is it gated? Or are there styles? From what I recall there’s a gate towards the end of the walk. There are also too many rocky/stepped paths. I’d say it would be near impossible. In fact there is a gate for sure. See the last photo. 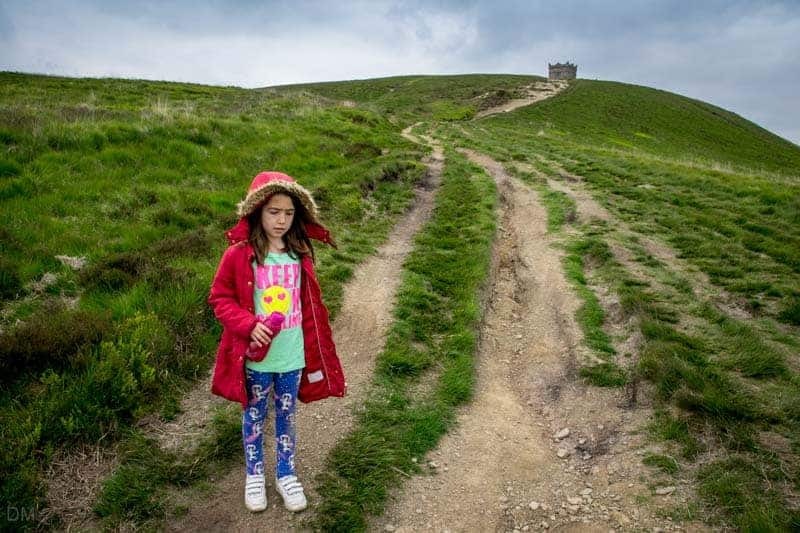 I’m doing a sponsored walk for Barnardo’s children’s charity on Saturday 28th July and was hoping to go to the top of the Pike. Is it ok to do this with the possibly peat fire still in the area? 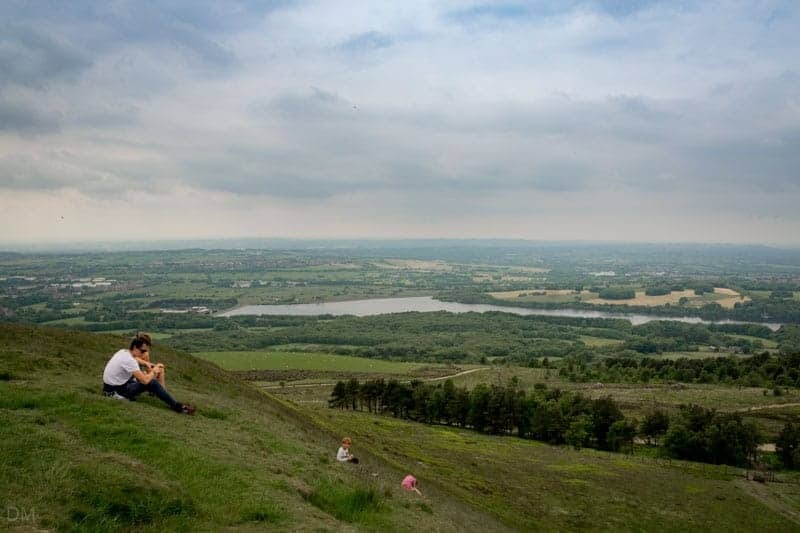 Was planning a picnic and walk on Rivington Pike this weekend. Is that possible now or even advisable? Would I be able to host a yoga class somewhere in Rivington without informing someone. Or would I have to let someone know or pay? Is this route pushchair friendly? Sorry for the delay. But in case anybody else has the same question. No. Not really pushchair friendly. It would be ‘possible’, but a very hard struggle. I would not advise. Go somewhere else then. Dogs know no better. It is the owners who are the bigger nuisance. Thank you for posting this! I was just looking at a map and getting ready to leave then scrolled down and found this. I’m not happy risking it, so thank you! 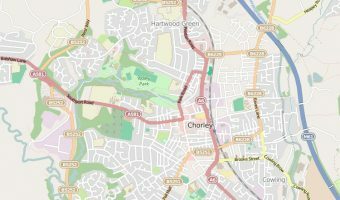 it would be great to be able to download a set of route directions to use on the walk. 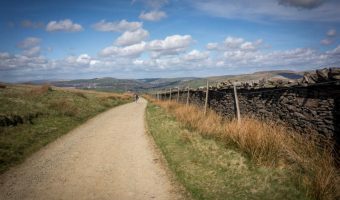 Please can you email me the rivington pike route? 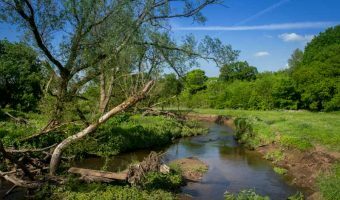 Popular wedding/event venue, and starting point for countryside walks. High spot in Rivington, between Bolton and Chorley. Offers great views. Gardens commissioned by Lord Leverhulme boasting plenty of interesting features. 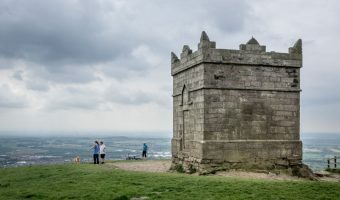 6-mile circular walk from Ramsbottom Train Station to Peel Tower, Holcombe Moor, and Stubbins. 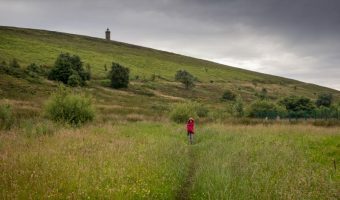 Walk to Darwen Tower from Sunnyhurst Wood via Earnsdale Reservoir and Ryal Fold.